BANGI, 7 Oct. 2010 – Deputy Dean of the Medical Faculty, University Kebangsaan Malaysia (UKM), Prof Datuk Dr Raymond Azman Ali, has been selected to receive the National Academic Award (AAN) 2009 for his dedication in producing exemplary medical professionals for the country. The award by the Ministry of Higher Education is for the Health Education category. The award is the highest government recognition to lecturers in institutions of higher learning who have created some level of reputation for the country both locally and internationally. 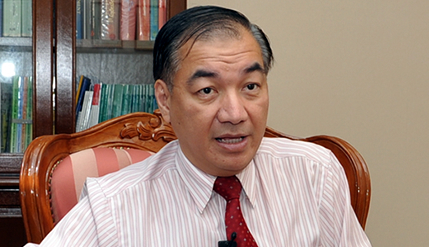 Prof Raymond, 50, is the Senior Consultant Neurologist in UKM Medical Centre (UKMMC). He obtained his MBBS degree from Monash University, Australia in 1984 and completed his Masters in Medicine from the National University of Singapore in 1989. He obtained his doctorate specialising in Neurology from Monash University in 1996. He started his medical career in UKMMC as a trainee lecturer in 1987 and worked his way up to be the Deputy Dean. He is one of the leading and most recognized neurologists in the country and a source of reference in the field. Among his contributions is in the area of stroke treatment where he set up The Kuala Lumpur Regionalised Integrated Stroke Intervention System (KRISIS) which can help to reverse stroke attacks enabling patients to fully recover from the attacks without having to face paralysis. KRISIS is a stroke ready team which also trains doctors, paramedics in the ambulance and radiologists on stroke reversal treatment. Dr Raymond’s role as a medical educator has given a new lease of life to stroke patients and is now busy making sure that every other doctor in the country learns how to reverse a stroke attack. In an interview with UKM News Portal on stroke reversal recently, Prof Ramond says he wants to make sure that as many people will benefit for any new kind of treatment that can ensure patients have a better life while promoting KRISIS into a nationwide system for treating stroke patients. He passionately believes that the doctors must be educated in the area as some doctors think that the treatment for stroke is just rehabilitation and prevention.